THE JEMIMA CODE. Toni Tipton-Martin compiled two centuries of recipes by African American women — from slavery through the 20th century — proving their undeniable contribution to American cuisine. 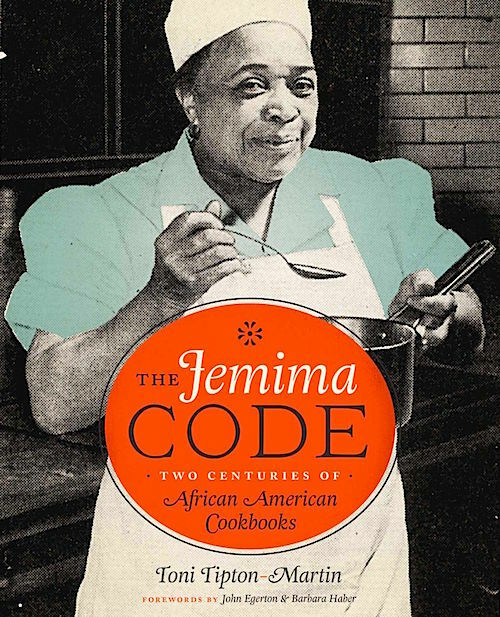 The title THE JEMIMA CODE refers to the mythical character marketed to support the long-held belief that African Americans cooked as kitchen laborers with little knowledge of the culinary arts. In fact, there was a great deal of skill involved in developing scratch recipes that would be handed down for generations and we now have a solid collection of that history.